What is a financial promotion? Financial promotions. We all produce, write, review or approve them. But what is a financial promotion (FP), in the eyes of the Financial Conduct Authority (FCA)? What is the definition of a financial promotion? The FCA handbook defines an FP as an ‘invitation or inducement to engage in investment activity’. In other words, it covers anything that promotes your brand or your firm’s products, and any communication that invites or attempts to persuade customers to buy the products you market. This includes products promoted by ‘appointed representatives’. So if you delegate the sales of your products and services to third parties – such as Independent Financial Advisers (IFAs) – you are responsible for any materials they on your behalf. Last year a regulatory review into the insurance sector was critical of the way some firms oversee their appointed representatives and ensure that their activity meets regulatory requirements. So it’s worth brushing up on the rules to make sure that if you use appointed representatives, they are acting in a compliant way. Financial promotions aimed at intermediaries, such as brokers also fall under the regulator’s rules. What does the FCA say about financial promotions? Any firm regulated by the FCA is bound by its ‘Principles for Business’. Principle 2 – A firm must conduct its business with due skill, care and diligence. Principle 3 – A firm must take reasonable care to organise and control its affairs responsibly and effectively, with adequate risk management systems. Principle 6 – A firm must pay due regard to the interests of its customers and treat them fairly. Principle 7 – A firm must pay due regard to the information needs of its clients, and communicate information to them in a way which is fair, clear and not misleading. There are prescriptive requirements that set out the process a firm should follow when developing a new FP. These are contained in a number of the handbook’s ‘Conduct of Business Sourcebooks’. You can read these in full on the FCA website. There has sometimes been confusion over how digital marketing – websites; emails and social media – is regulated. In fact, all digital marketing is categorised as ‘non-real time’ promotions. This means that social media posts, emails and web content all need to be reviewed, approved and have the same record-keeping rigour as any other marketing collateral. Make sure your Twitter and other social media posts are compliant by reading more about the FCA’s policy on social media. The regulator has the power to ban your promotions if they don’t meet its requirements. Aside from the obvious reputational damage that can result from having your ads banned, there is the matter of potential fines (it’s estimated that the banking sector has been fined more than £53bn in the 15 years to 2016). And with a recent report showing that governance is more important than ever to your corporate reputation, and a move towards increased individual accountability – there is no better time to make sure your marketing activity meets regulatory compliance requirements. The FCA’s business plan and Mission document focus on the need for suitability. Its recent review showed that firms are falling short when it comes to disclosing charges. There are clearly many incentives for prioritising compliance. You can read more in this blog about how to ensure to remain compliant with the regulator’s guidance. The thought of an FCA visit to your organisation is a stressful one, although there are many things you can do to prepare. We’ve teamed up with Perivan Technology, to create a free guide on how to prepare for an FCA visit. It contains a wealth of tips on how you can be ready for the FCA if they decide to visit your firm, along with 13 questions you should ask yourselves before the regulator arrives. A visit from the FCA can be a daunting prospect, but with the right groundwork, you can be prepared if they decide to call on your firm. Download this free guide to give you some tips. You can download a free copy here. We offer a complete solution with a range of self-service, cost effective, compliance and marketing products and services that are uniquely suited to supporting firms. 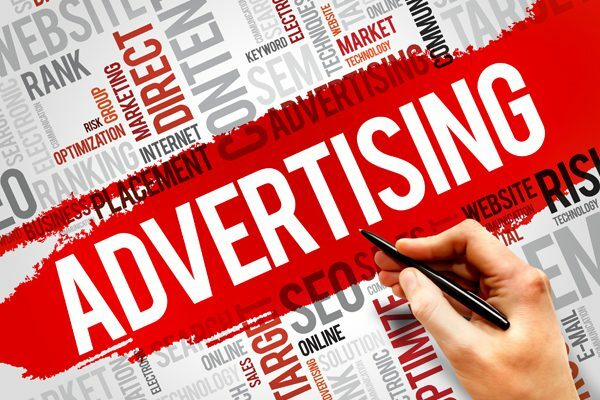 Try our Bespoke Advertising Advice. It’s fast and confidential.